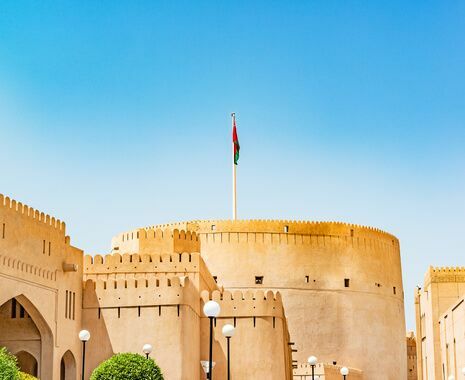 Visit the key cultural and scenic sights of Oman including magnificent forts and palaces, the rolling dunes of Sharqiya Sands, Oman’s highest mountains and picturesque coastal fishing villages. 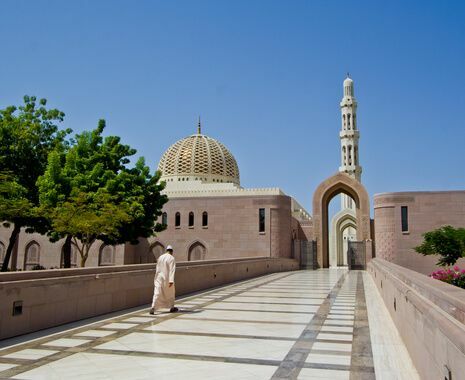 Discover the warmth of the Omani people and travel between the contrasting landscapes of the desert, sea and mountains. 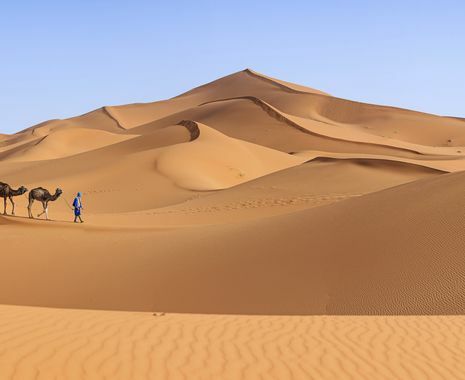 This tour is based in 4-star accommodation, with the exception of Sharqiya Sands and Nizwa, where the accommodation should be considered more basic. Transport will be by air-conditioned minibus and by 4x4 vehicle from day 4 onwards. Both men and women visiting the mosque must be fully covered. Women must also cover their head with a scarf. Driving up, down and through sand dunes to our tented overnight stay, with sand spraying in every direction. A never before experience and one which I thoroughly enjoyed. The whole trip was a fantastic mixture of old and new with the guide and drivers providing superb service and knowledge. Several inspirational points of the trip including: the night turtle viewing on the beach, dune driving, the night in the desert, being able to enter the Bahla Fort and look around it in comparative isolation, the drive up Jabel Shams and the canyon, and finally, the archaeological dig in Salalah. The tour was consistently excellent in content, with new experiences each day. It was the overall joy of being in a country with friendly people, full of varied (and sometimes exciting) scenery, ancient forts, ultra modern mosques and even an opera house that we most remember. Our disappointment of not seeing turtles at Sur was compensated by seeing one in Muscat Harbour, diving and surfacing as it fed on the weed attached to the rocks. Being in the desert was the most inspirational - quite spectacular. Loved being taken out to the top of a sand dune to watch the setting sun. Particularly liked The View hotel - excellent accommodation and meals.